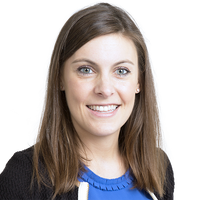 Jenny’s practice covers contentious and non-contentious EU and UK competition law matters with experience of engaging with the European Commission, the UK Competition and Markets Authority and other competition law enforcement agencies around the world. She has particular experience of advising clients in the financial services sector. Highlights include advising on high profile merger control transactions, including public takeovers. Based in London, she has also spent time on secondment in our Washington DC office and chairs the Freshfields associate women’s network. Jenny is fluent in Dutch and English.